Sign up and receive Property Email Alerts of Houses for sale in Tema, Tema. 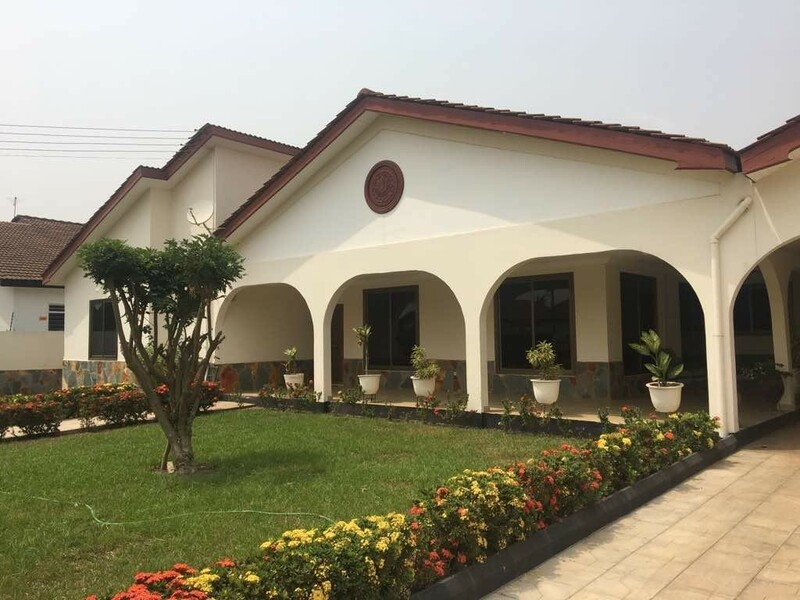 Sitting on 0.3acres , is the 4 bedroom property boasting of well manicured gardens, ample parking space and spacious interiors within a serene gated community. The property is laid over an spacious open-floor plan enabling well-lit and well ventilated interiors, a large modern fitted kitchen leading to a large living and dining area as well as a laundry room for added convenience. An access door off the kitchen and family area leads to a summer hut and a 2 bedroom boys quarters. The property further benefits from a security post(to be manned), electric fencing for added security, two large reserve water tanks, and a standby generator. Sign-up and receive Property Email Alerts of Houses for sale in Tema, Tema.